Now in its fourth year of trading, Little Yellow Bird is an award-winning sustainable manufacturer and supplier of ethically produced, organic cotton uniforms and apparel, which traces its origins to a student club contest. Founder Samantha Jones originally entered the idea for what became the company Little Yellow Bird in the University of Canterbury (UC) student-run business competition Entre, winning a prize in the $85K Start Up Challenge in 2015. Entre provides coaching and mentorship to help students validate, launch and grow their ideas and was integral to the launch and development of the company, she says. Born and bred in Canterbury, Jones completed a Bachelor of Commerce at UC in 2010 before joining the military and spending six years as a Logistics Officer in the Royal New Zealand Air Force. After leaving the military, she noticed a gap in the market for ethically made workwear. She returned to UC in 2015 to complete her Master of Engineering in Management degree, and that’s when the fledgling idea for Little Yellow Bird took flight. This year, Samantha Jones returned to UC not as a student but as a supplier and an inspiring graduation speaker. An emerging leader in New Zealand’s social enterprise sector, Jones was named New Zealand’s Young Innovator of the Year in 2017. Jones returned to her alma mater in April to deliver a graduation commencement address to the class of 2018. She told hundreds of graduating UC students: “There is no shortage of problems to solve in the world so do something that really matters”. 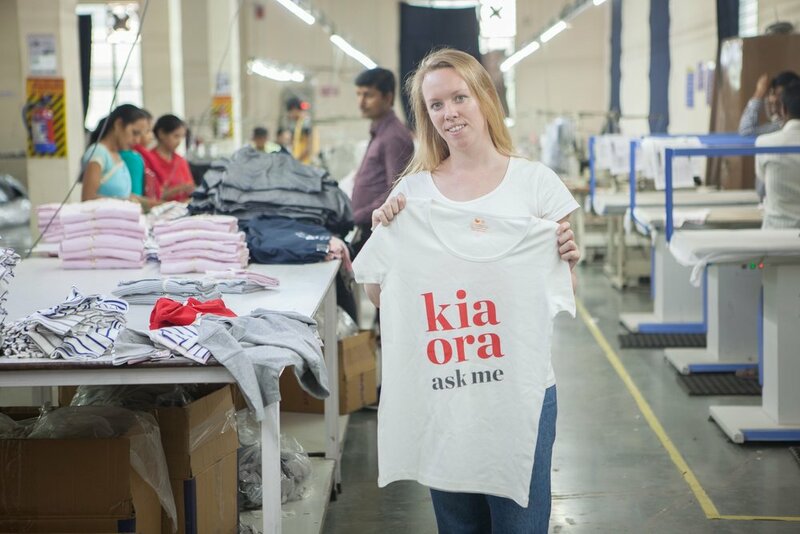 Social procurement is becoming increasingly important for businesses wanting to show their commitment to social good, Jones says, and uniforms are an item which can have a significant net positive impact. Starting with T-shirts and polo shirts, Little Yellow Bird has supplied several University departments with branded apparel and Jones has plans to expand to other product lines UC may need in future. Little Yellow Bird sources organic cotton from Indian cooperatives and produces all of its shirts in a small production unit in India. Uniquely, the business provides tailored impact reports with each order.